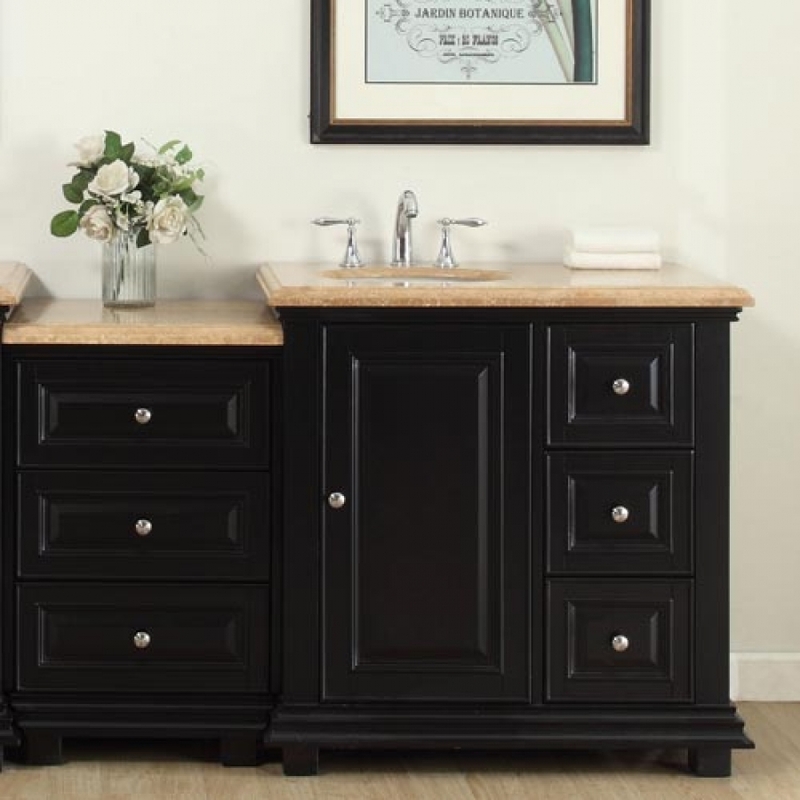 The special design of this single sink vanity offers great space for storage and extra room at the top that adds more functional counter top area. The clean lines of the design stand out with the bold tone of the espresso finish. 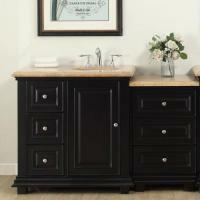 The brushed nickel hardware pulls stand out beautifully against this deep color. Both counter top sections are created with travertine material that has its own unique and natural beauty. Ample storage space is provided with the single door cabinet with an interior shelf and the six drawers that will really come in handy for keeping items stored out of sight for neatness in the bathroom.